Heat rises. Most people know that. They’ve also heard that heat in the body mostly escapes through the head. Your home, much like your body, also loses most of its heat through its head. As the crowning achievement of your home’s exterior, a sound roofing system is responsible for at least 25% of your home’s warmth. 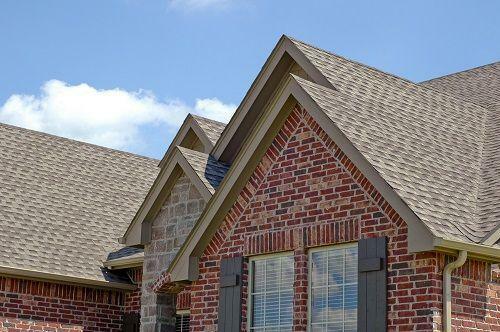 Among the invaluable benefits of having a roof over your head, one of the things a good roof does best is to keep your home’s heat from escaping. What’s especially noticeable for most of the year in Northern states – but true in general as a fundamental law of thermodynamics – heat is temporary. Given the opportunity, everything that is warm will return to a state of coldness by default – including your home. Anybody who has had to wait to start eating a hot meal, or endure a frigid February night in the Pacific Northwest, has experienced this first hand. If heat would just stay put, energy efficiency would be a lot easier to manage. But the trouble is that as soon as heat is produced, it doesn’t like to stick around for long and the number one direction it’s going, is up. Heat escapes through every available exit, through the windows, through the doors and even through the walls. But for every exit it flows through, it’s flowing towards the sky. That means there are two halves to the warmth equation, continuously producing heat via energy and insulating as much as possible. Heating your home abides by the same way heating your body does. Where a person can generate heat through the energy of movement, a home uses the energy produced by a heater to warm up. Similarly, if a person needs to be warm in a cold environment, he or she insulates using a jacket strong enough to block the cold from coming in. And in the same way that energy usage comes at a cost to your body, so it is true for your home. 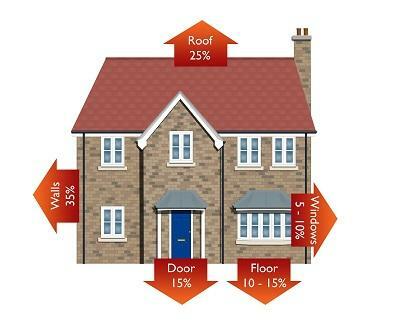 Which is where energy efficiency (insulation) really comes into play. The energy usage of every home can be scored on a report card. Because heat is overall much more costly to produce, home designs that lend themselves to harnessing heat are mathematically more efficient than those that don’t. Of course, the draw from your appliances, how much water your household uses and where you get your energy from all contribute to your score as well. But before you begin to worry about add-ons, the most direct savings to your utility expenses will come from adequately insulating your home – and capping it off with a roofing system designed to keep your home’s climate under your control.